Get great macro photos without spending a bundle! 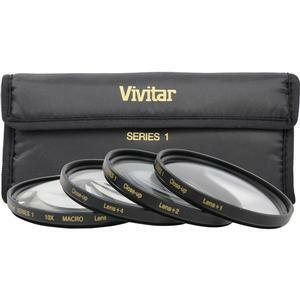 The Vivitar 58mm Macro Filter Kit includes four close-up diopters at +1, +2, +4 and +10 magnification, and a durable carrying case. 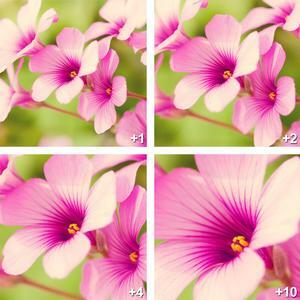 These filters simply screw to the front of your lens, and will maintain resolution and picture clarity while magnifying image size. 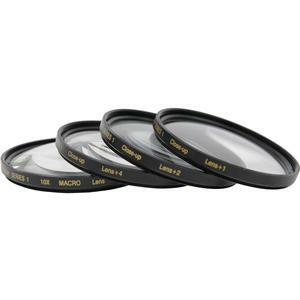 Plus, these filters are double-threaded, which means you can combine them to achieve increased magnification, or you can attach additional optics such as polarizers or UV filters. These macro filters are ideal for photographing small items and focusing in on details of coins, flowers, jewelry and insects, as well as industrial photos of miniaturized components, medical and dental laboratory work and other scientific photography.